Best Time To Come to Prague For Holidays? Learn more! Best time to come to visit Prague? Believe me, this is really difficult question and the answer can always sound kinda subjectvive. But many of my clients keep asking me about that. So let´s try it. Step by step, month by month. I will try to summarize for you pros and cons of every month, tell you little bit about weather in Prague and what to do here throughout the whole year. 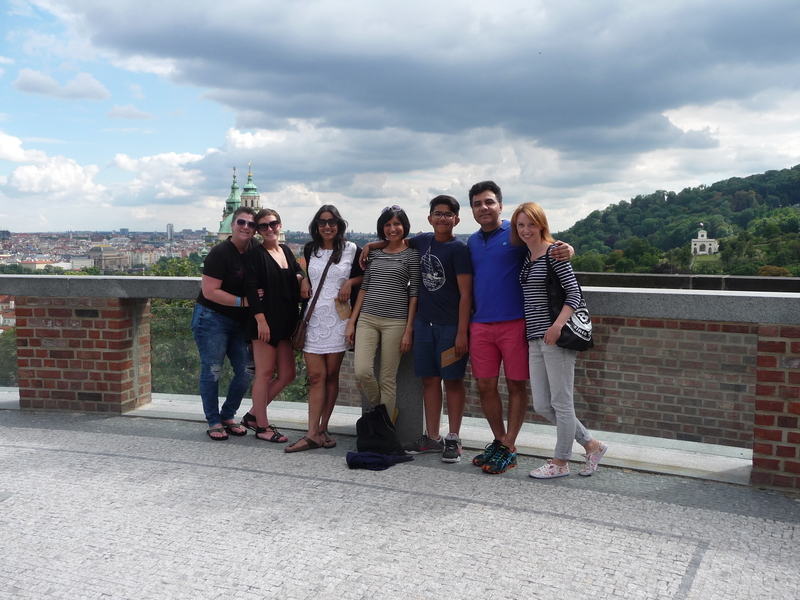 Me (right) and my clients at Prague Castle. If you don´t have time to read the whole article and want to know my trully subjective opinion now, this is it: as a professional guide and Prague local I believe the best time to come to Prague is spring. To be more precise – second half of May/beginning of June and also September. If you already booked your flight for February or November, don´t be sad, ok? You will have a fantastic time here as well because Prague has something to offer every single day, month and season. Rain or shine. Especially when you are coming to Prague in 2018. There will be many events related to our country because this year we are celebrating 100th anniversary of our republic. Does it snow in Prague? Yes, it does but not very often. most of the time we have “grey” winters, just cold, no snow. However winters are not that strong anymore and the snow we get doesn´t stay too long. Which is sad. Any extremes in Prague in terms of weather? Not really, very moderate conditions. The weather tends to be a bit crazy in April and beginning of May (cold, warm, showers, wind, sun – all in one day) but in general nothing too special. Four seasons with their typical attributes. Best time to come to Prague with children? Definitely when it is already a bit warmer but not too much: end of May, June, September and beginning of October are probably the best months. There are many free playgrounds even in downtown area. one for example on Kampa island right under Charles Bridge. You can enjoy sightseeing as well as playing. When the city is busiest? The busiest months are July, August and December. High season starts on April 1st and ends on October 31st. December is another high season. The rest of the year is a low season. Should you have any questions about Prague or need to consult your travel plans, feel free to contact me at dana@praguebehindthescenes,com I will be happy to help you. After Christmas madness the city is pretty empty. Prices in hotels are lower and their availability is much much higher. Hotels offer various promotions and off season packages therefore this is the best time if you want to save some money and see the city without crowds. Especially during working days it is very comfortable to explore Prague sights. I can´t guarantee you will be here alone since it never happens but January is definitely a great choice for people who don´t like (too many) other people around. Temperatures are around zero (32°F) and it rarely snows. Disadvantage of this month is that nature is sleeping and everything is a bit grey here. Parks are not very pretty and beer gardens are closed, as well as our beautiful historical gardens like South gardens of Prague Castle, Royal gardens, Vrtba garden or Wallenstein garden. They are all closed during low season (from November till March). What to do in Prague in January? Drink enough mulled wine or grog (rum+hot water+sugar+lemon) and explore Prague Castle interiours, climb up to Powder Tower and Old Town Bridge Tower for fantastic views. Eat well, you deserve some heavier meals – for example “svíčková” in Café Louvre. You can also try their lovely 5 o´clock tea ritual that comes with cute sandwiches, pastries and tapas (my favourite, but only available between 4 – 6pm). In the evening you can find your way to secret Prague bar called Parlour in Krakovská street or warm up in sauna and enjoy great massage for example in Infinit. They have several branches and they offer the best saunas and treatments in the city. I´ve been regularly visiting their branch in Holešovice, already 15 years. If you are a bit more punk, try Sauna on a boat located downtown. Outside, right on Vltava river where you can also cool down. Very special experience with perfect Prague views from their deck. Beginning of January is also great for shopping – many Christmas sales! 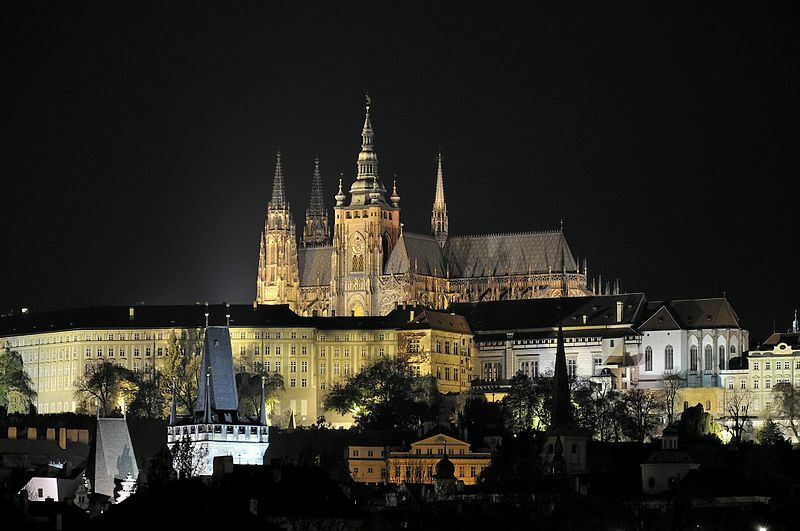 From January 16th til January 23rd you can see Czech crown jewels at Prague Castle (for free). In winter I don´t recommend to take boat tours. This month is not very popular among tourists. That´s also the only time when I am not guiding and go for holidays instead. I basically don´t have enough clients. The city is very quite and not crowded. Days/weekends around St. Valentine can be busier and hotels more booked. For Czechs St. Valentine´s Day is not a big thing. It is not very common to celebrate it since we have our own day of love: May 1st. February can be cold and grey. By this time locals are already very tired of winter and they are complaining and frawning all the time. Don´t look at them and enjoy your time here!!! What to do in Prague in February? 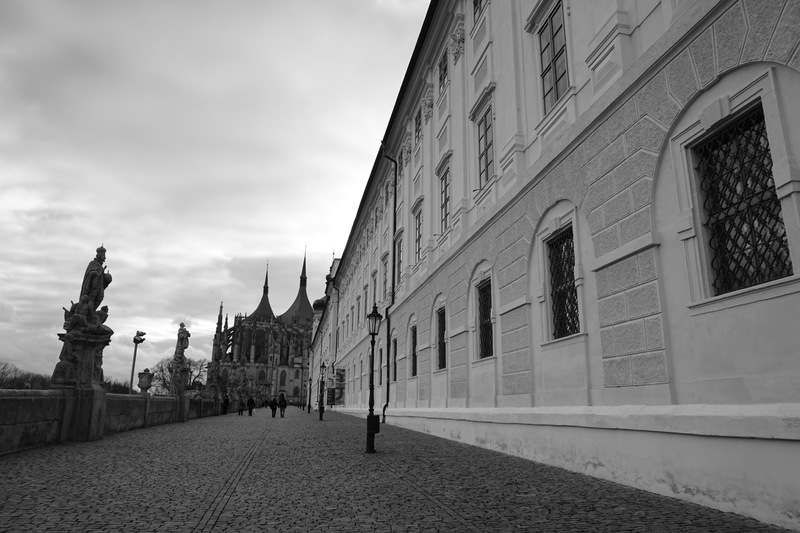 Plan your Prague Castle visit to be there at noon. You will have a chance to watch a festive ceremony of changing guards (with music). The guards are changing every hour but only at noon there is a special ceremony by the main entrance to the Castle. Before going to see the guards and the Castle itself I recommend to take a tram up to Pohořelec stop (tram 22 for example) and explore its neighbourhood. From Strahov monastery you can enjoy the best views of the city, 10 minute walking from there is located lovely Loreta and also picturesque quarter called Nový Svět (New World), where you can stop in a cute family run coffee place called Kavárna Nový svět (Have mulled wine, great coffee and home made brownie). Everything is very affordable for such a fantastic location. They just don´t have printed menu, everything is written on a board by a counter. From romantic Nový svět you can easily reach the main entrance to Prague Castle, just 5 minute walking. February is a low season and histrorical gardens are still closed as mentioned in January paragraph. Cold days are perfect for spending them in cozy café like Café Letka or Kavárna Alchymista. 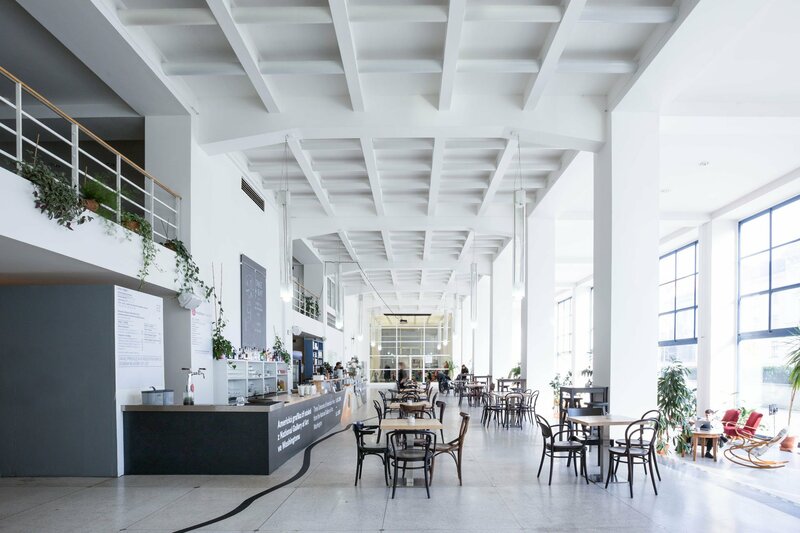 You can also visit SmetanaQ, where you can find Czech design shop, designers´workshops and café. Lovely and highly recommended place. March is the best time for one day trip to Kutná Hora. It´s finally getting warmer but nothing special yet. Always bring with you enough warm clothes at least for evenings. March is highly unpredictable in terms of weather, just like April. It can be already nice, sunny but also very cold and it can even snow! March is also the last month of low season when prices are still ok and the city is not too crowded. However the number of visitors is slowly increasing. What to do in Prague in March? March is the time when we are already extremely sick of drinking mulled wine and we start to “flirt” with beer again. The most authentic (nothing fancy!!) beer places located downtown are U Černého vola and U Hrocha. Very good craft beer you can get in Strahov monastery brewery, however the place is touristy and always busy. Another real beer place with the best selection of local beers is Zlý časy. Must visit place for all beer lovers. Just don´t expect any fine dining, please. During March I would also recommend one day trip from Prague to Kutná Hora. This is really busy town in summer but in November, January, Feburary and March it is perfect. Especially during working days. The city is famous for its “bone church”, St. Barbora Church and my favourite GASK gallery presenting contemporary modern art in a histroical bulding of former Jezuit college. Great exhibitions, nicely renovated building. Café Jedna is a new popular place in Prague district 7. Best time to stop there is after visiting National Gallery located in the same building. Spring! Days are longer, people are smiling more. The city is getting greener and it is also the first month of high season in Prague (higher prices for accommodation). It´s also Easter holiday time with many seasonal markets around the city. April is also the month when many beer gardens open. You can enjoy cold beer in the sun (still probably wrapped in some jacket and scarf) and get some fresh D vitamin. What to do in Prague in April? Definitely walk up to Letná park and enjoy your first outdoor beer and great views over Prague. Then you can visit our National Gallery in Veletržní palác and have a coffee in a fantastic Café Jedna. You should also visit farmers markets on Náměstí Jiřího z Poděbrad or Saturday morning markets on Náplavka. Don´t eat before you go! Easter holidays in Prague (or in big cities in general) are not very authentic. To be honest with you – everything you see in the streets or in market stalls is just for tourists. However, Czech Easter is really cool and a bit bizarre, too. Learn more in my other post. The best thing about April is that historical gardens are open again, after long winter. Therefore defnitely visit: South gardens of Prague Castle or Wallenstein garden (for free). Another great (paid) option is Vrtba garden. As I mentioned earlier weather can be a bit tricky in April so don´t forget umbrella, sun cream and scarf. On April 30th you can experience Night of Witches – bonfires around the city and people partying outdoors. On this night we burn “Morana”, a figure symbolizing winter. When April is nice and warm, May will be the best time to visit Prague. Everything is blooming and so vivid green. It is warm enough to walk the city just in a light jacket. It can also rain some days but the fresh air after such a spring shower smells so good! Highly recommended time for your Prague stay. Especially the second half of May. What to do in Prague in May? If you are coming to Prague right on the May 1st you can enjoy our “St. Valentine´s Day”. May 1st is our own day of love. There is a such a tradiiton: not to buy any kitchy stuff and just kiss each other under a blooming tree (cherry trees are best but you can choose any blooming tree). The best place to find blooming trees is Petřín park. I recommend to see the beauty of blooming city from above. The best spots are: Petřín tower, Old Town Charles Bridge Tower or Great South Tower of St.Vitus Cathedral. 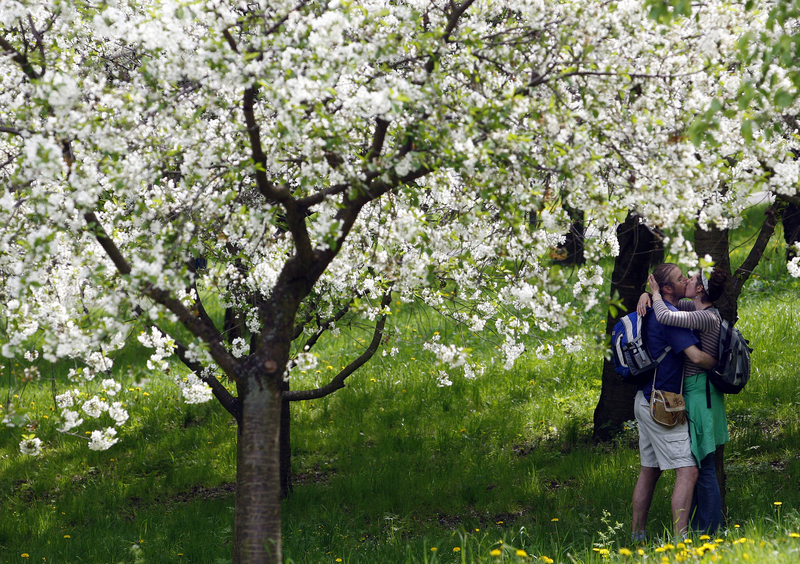 You can also walk up to Strahov Monastery via Vlašská street and enjoy views, blooming trees in Strahov orchard. The Prague Spring music festival is a major event of Prague in May. If you are a real classic music fan you should already have tickets. It is a big annual event with history since 1946. Since May you can experience many other festivals, too. There is always something going on. Especialy on weekends: food festivals, music festivals, beer festivals, coffee festivals, etc. May 1st and May 8th are national holidays and some places can be closed. Another perfect month with many warm evenings and enough daylight to explore the city until late hours. The city is already busier and so are pickpockets. Yes, this is a shame of Prague, just like taxi drivers. But they only do their work when they get a chance. Don´t leave your money / phones / passports in back pockets or in open pockets. Don´t leave your stuff unattanded. What to do in Prague in June? See Prague Castle at night, the whole complex is open for free until 10pm and believe me, you will be there almost alone. 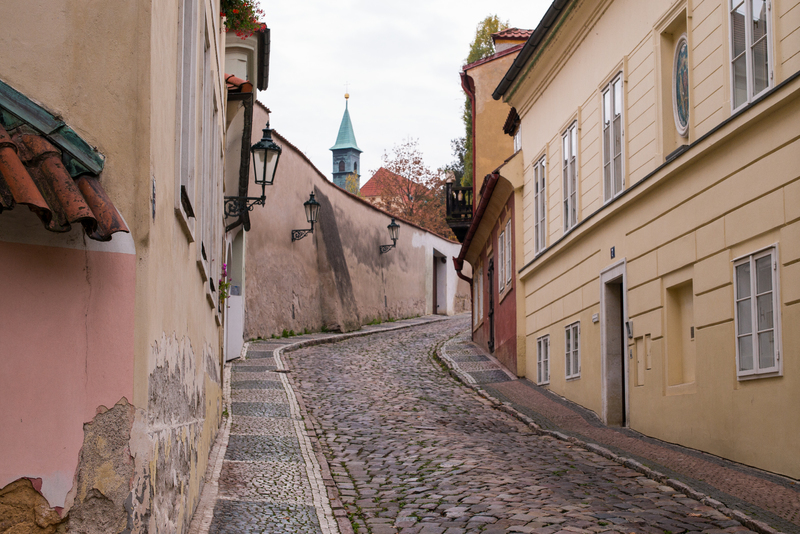 Part of Prague Castle called Golden Lane is amazing and quiet without crowds. From 5pm it´s even open for free (during the day time you need to pay for a ticket). In June there are many culture events, outdoor concerts and festivals all over the city. You will never get bored here. Come to explore Letná park and have a picnic there and later sip your drink in Cobra, popular local bar in Prague 7. Or maybe Stromovka park will be your choice? While you are there, make sure you find your way to Gelateria & Café Amato serving delicious ice cream. The best ice cream places in Prague are: Zmrzlinář, Angelato, Puro Gelato and Crème de la Crème. Great weather, mostly sunny days. Sometimes there are hot waves with temperatures attacking 30°C (86°F). Hotels have A/C however if you are staying in AirBnb places or other private homes it is not common to have A/C! The city is trully packed. 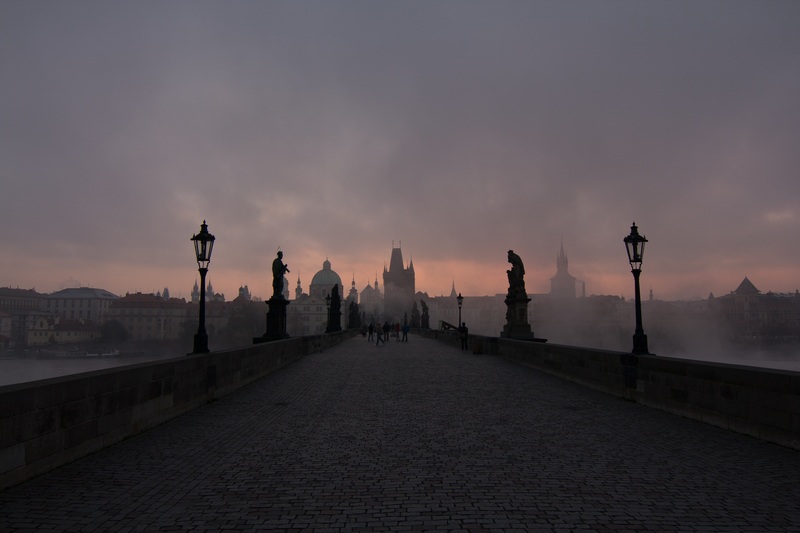 I woudln´t go to Charles Bridge during the day time. It´s really a hell without atmosphere. Just crowds, big tour groups, people with selfie sticks, beggars, vendors, pickpockets, etc. The same hell you will see on Old Town Square. On the other side the weather is fantastic and warm evening spent over cold beers are must to experience while in Prague. Everything works, everything is open and you have thousands of choices what to see and do here. What to do in Prague in July? Always wake up early and be the first person on Charles Bridge and Old Town sq. before all the big, noisy groups come. Trust me, this is the best thing you can do for yourself and your mental health. I recommend to get there between 6am – 8am. 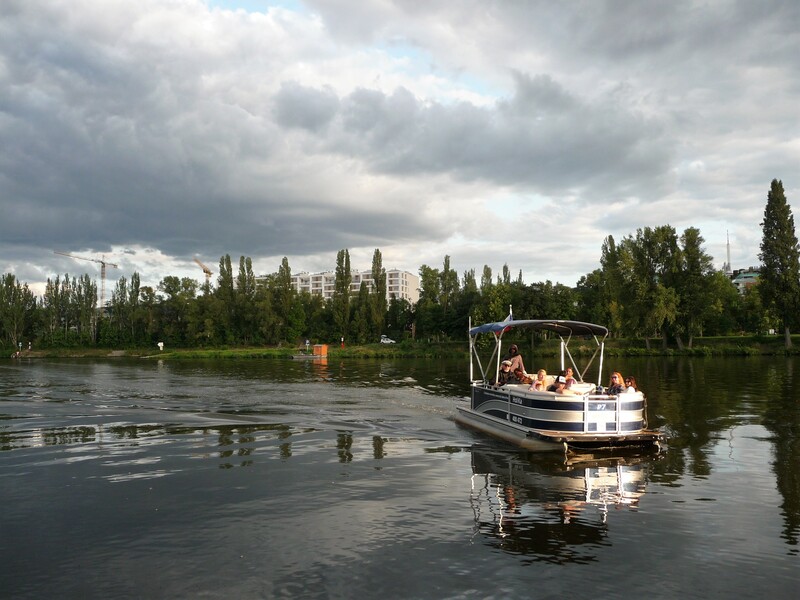 You should visit beer gardens in the evenhing: the best choices are Letná beer garden or Riegrovy sady beer garden from where you can enjoy amazing sunset with cold beer in your hand. Not far from Riegrovy sady is also very good ice cream place called Zmrzlinář. 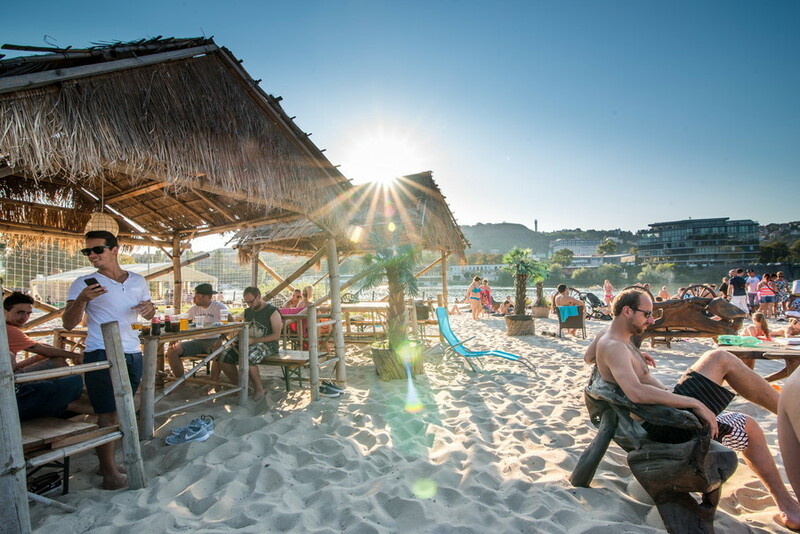 If you like a bit of adventure and want to experience some off-the-beaten-path beer places, take a small ferry from Holešovice to Karlín and visit casual outdoor bar called Přístav 18600. There is also beach in Prague! You will find it in Žluté lázně. Top of the high season in Prague. Hot days and crazy time for tourism. People are everywhere and locals are irritated from the weather and all the tourists around:-) Hotels, vendors, restaurants, souvenir shops rake it on tourists as much as possible. But if you know what to avoid, where to go, what to see and when, you will have the best time here. What to do in Prague in August? Besides everything mentioned in July paragraph I can recommend to relax by water. Highly recommended is place called Žluté lázně. If you are tired of Prague and the city madness, hop on a train and go for one day trip from Prague. We have so many nice castles here, you wouldn´t believe. Karlštejn is beautiful but super super super busy in summer. Rather take a train/bus to Křivoklát or Český Šternberk. In the evening, when you get back to Prague find your way to many summer cinemas. Wonderful green oasis are Prague islands (for example Střelecký ostrov or Slovanský ostrov) or lovely unknown garden around Convent of St. Agnes of Bohemia. Are you coming to Prague in September? Taste “burčák”. Fermented juice made of grapes. September is another best time to visit Prague. Perfect temperatures, relaxed atmosphere, less people than in summer. Autumn is in the air and it´s lovely. The nature is still green and temperaters good. Evenings can be a bit cooler, so bring warmer clothes as well. Public transport runs more often since children and parents are back in the city after summer holidays. What to do in Prague in September? Drink “burčák” because September and beginning of October are the only two months when you can get this seasonal drink. It is a fermented grape juice, first stage of wine making. 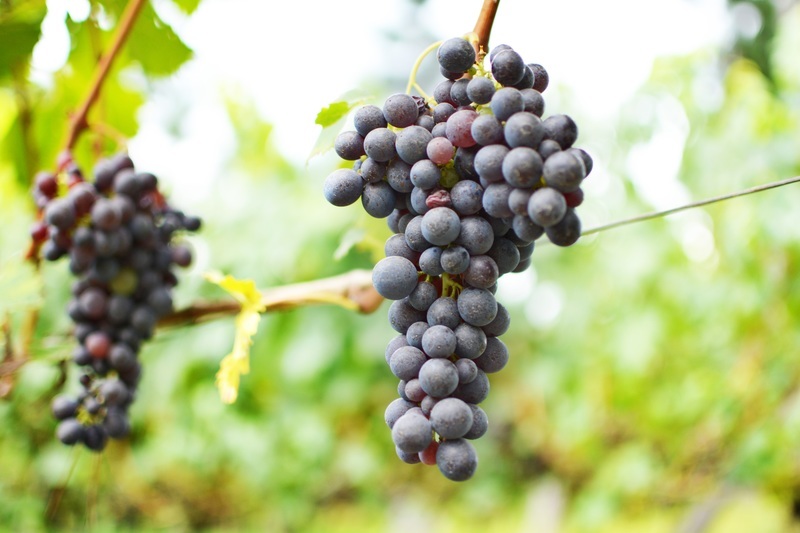 September is a month of wine harvest and you can visit many local wine festivals in Prague. It´s also a nice time to hang out to Náplavka or visit Prague ZOO together with St.Klara´s wineyard, to taste some local wines and of course burčák. It´s very pleasant to spend late afternoon on a peddal boat and then have a drink in Bonvivant´s Coctail bar. 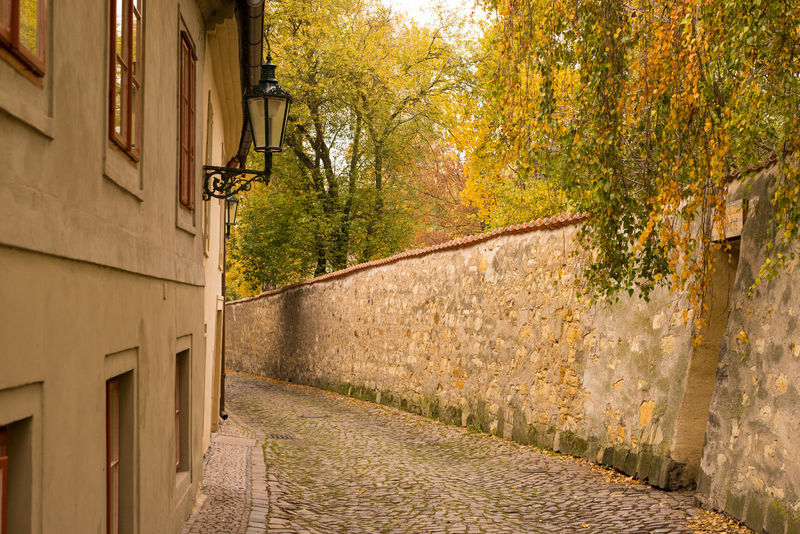 Picturesque back alley in Nový Svět district. Colors and falling leaves everywhere (be careful, they can be very slippery when wet). Little bit sad time but the nature is beautiful especially on sunny days. The second half of the month can be colder, definitely bring with you an umbrella and some warmer clothes for evenings. October is the last month of high season when historical and UNESCO gardens are open. What to do in Prague in October? The city is less crowded and weather is fine for walking. You have the last chance to visit lovely Castle gardens and Deer Moat. I recommend to go up to Petřín first (by funicular) and enjoy fantastic views from the tower, then you can easily walk towards Strahov monastery, visit Loreta and Nový Svět area and continue to Prague Castle and its gardens. When you are finished with you Castle tour, take a tram #22, go to Café Savoy and treat yourself with fruit dumplings, local speciality. Empty street in Nový Svět area. Just 10 minutes from Prague Castle. It´s probably the most depressive month of the year. The summer is over, it´s wet and cold outside, everything is kinda grey. It´s great for people who want to save some money or see the city without crowds. It´s perfect for long wellness weekends, gastronomy visits and also the best time for shopping before Christmas. What to do in Prague in November? From November 11th for about one week, many Czech restaurats serve St.Martin´s menu including St.Martin´s goose and other goose dishes, local seasonal speciality. You can also taste young wines and try the very first “svařák” of the season! What is svařák? It´s a mulled wine. Since it can be a bit cold outside, you can also visit amazing Museum of Cubism close to Old Town Sq. When you enter the building don´t forget to look up. The stairs look like a shining bulb! November is very practical month for buying Christmas presents. Shops are well supplied and not so crowded yet. The best shopping mall downtown is Palladium. You can also take a metro to Chodov shopping mall which is huge and you can spend there several hours. Christmas markets in Prague, Old Town Square. December can be very crazy here. Our Christmas markets are like a magnet. Those ones on Old Town Square and Wenceslas Square rank among the TOP 10 best Christmas markets in the world, according to CNN news server. The city is super packed and prices of hotel rooms rocket up. Be prepared for that. The worst time to go to explore the city is December 24th and 31st. Prague residents usually avoid downtown whole year. Just during these two days it is very common that friends and families gather downtown and go for a walk. The number of people basically double in the city center. The rest of the month is fine. 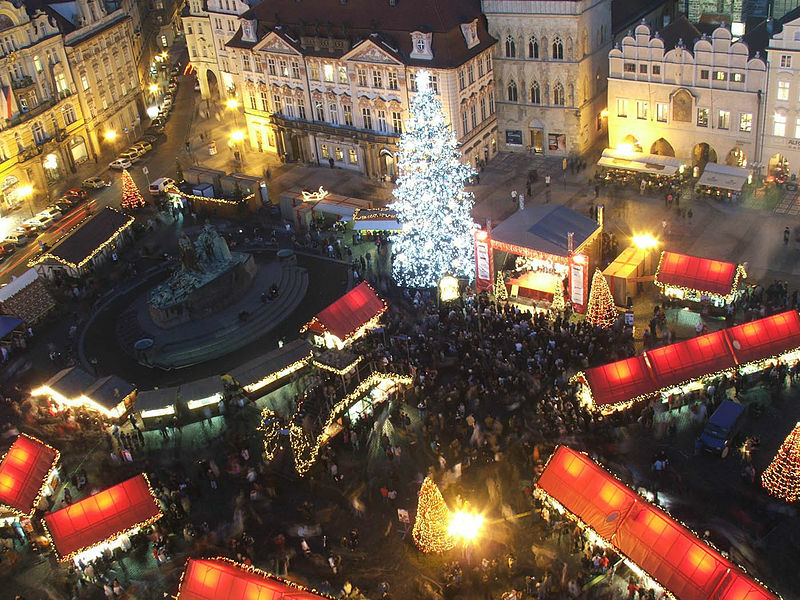 What to do in Prague in December? Don´t rush. Definitely taste some Czech Chrismas meals: fried carp with potato salad, fish soup and kuba (hulled grain, mushrooms, garlic, lard). Try not to stay only downtown in the busiest and crowded squares. Come to meet locals on other markets, too. Local Christmas markets have completely different offer, better prices and more authentic atmosphere. And there are less pick pockets, too!!! I recommend Christmas markets on Náměstí Míru or on Tylovo náměstí or on Náměstí Jiřího z Poděbrad (where you can also visit local farmer´s markets). Opening hours can be different from downtown, usually shorter. If you want to learn some other practical things about Christmas time in Prague, please click on my other post. The best place to celebrate NYE is away from downtown!!! I can recommend the area around Letná park (particularly the view point in front of the EXPO 58 building). You will be up on a hill and see all the fireworks in the city center. The official Prague fireworks is not at midnight but the next day (January 1st, usually from 6pm) so that also children can enjoy it. 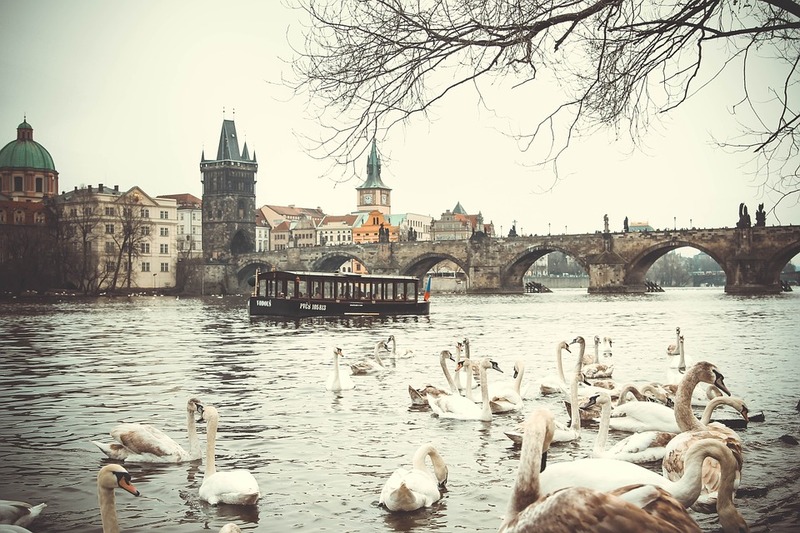 Have a lovely stay in Prague whenever you come!